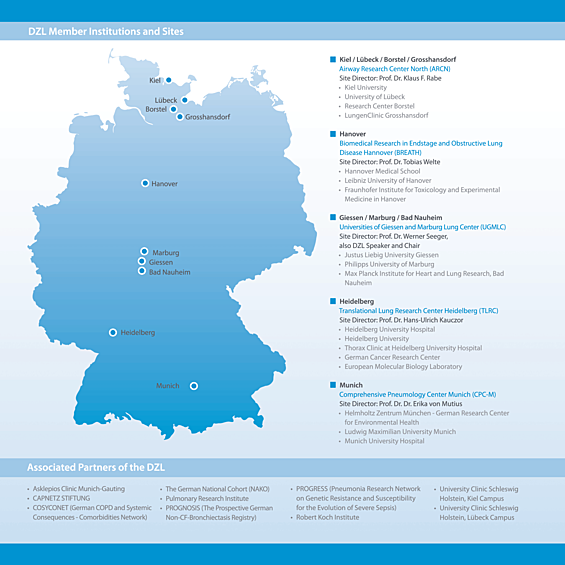 Founded in 2011, the German Center for Lung Research (Deutsches Zentrum für Lungenforschung, DZL) is one of six German Centers for Health Research. Supported by the German Federal Government and participating Federal State Governments, the DZL brings together leading scientists and clinicians in the field of pulmonary research, dedicated to pursuing translational research to combat widespread lung diseases. The Scientific Advisory Board aims at supporting DZLs strategic planning and at assessing the overall research and development operations. The Board convenes once or twice per year.